Reliable and high-performance Outage Management Software. With automated predictions, network tracing, switching, and input from multiple data sources such as AMI, IVR, CIS and SCADA, FuturaOMS gives users the power to quickly identify potential outages and get crews dispatched faster and more accurately. 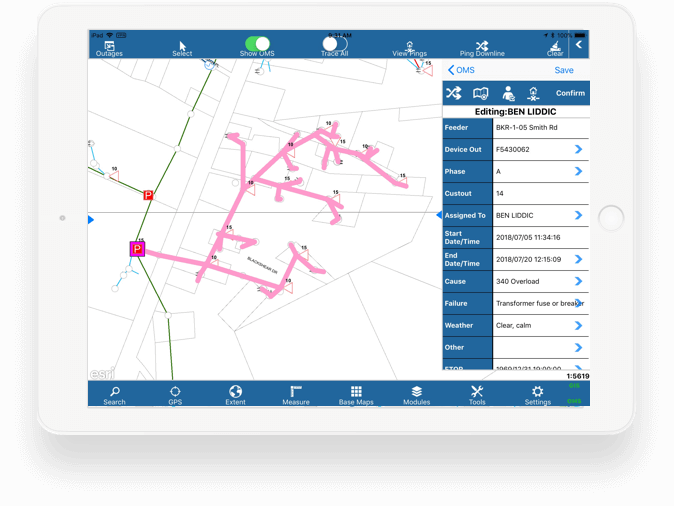 The Futura Outage Management System communicates with your utility’s integral systems in real time, creating a comprehensive and definitive outage management system that keeps your entire utility informed. Call us today to talk about how OMS can support you and your team. 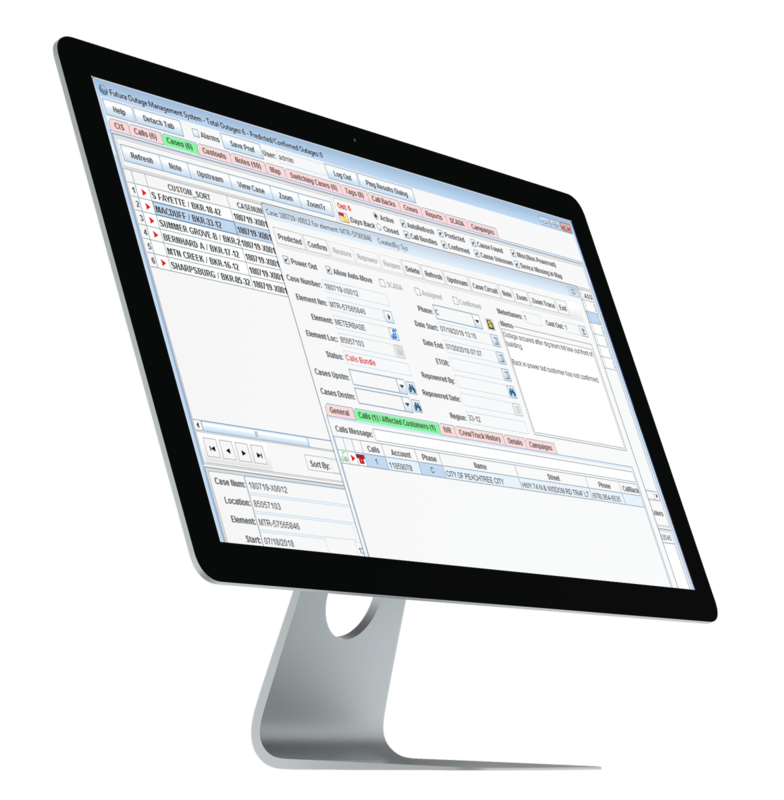 Intuitive graphical user interface displays outage calls, cases, trucks, notes, and switching in real time. Integrates with many of the top rated AMI vendors in the industry allowing your dispatchers the ability to check the status of meters from inside the application. SCADA integration allowing your SCADA devices to talk directly to OMS and automatically generate outage cases before the first call ever comes in. Evolving integration with IVR’s to allow for Call Campaigns and Text Messaging.